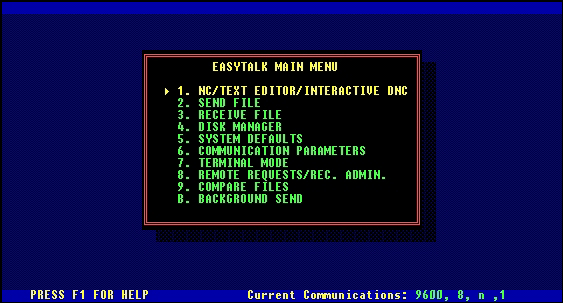 Still in its original user-friendly DOS style, the Easytalk Shell program runs in a DOS “Shell” in Windows XP and Windows 7 (32-bit Only). Try it free for 10 days. Please note that first time installations should be performed using a PC administrator account. Windows 7 (32-bit) users must right-click the installation program and select “Run as Administrator.” After successful installation and before starting and licensing Easytalk Shell for the first time, again right-click the Start Menu’s ETShell icon and select “Run as Administrator.” This will properly complete the initial program licensing. For more information see Windows 7 Installation Tips. Note: If Easytalk Shell appears sluggish or unresponsive see Performance Tips.